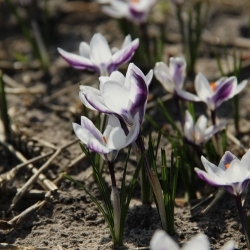 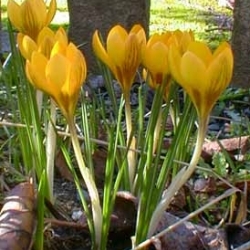 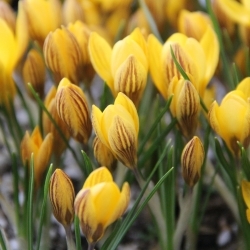 Small flowering crocus, deep yellow, purple-brown base. 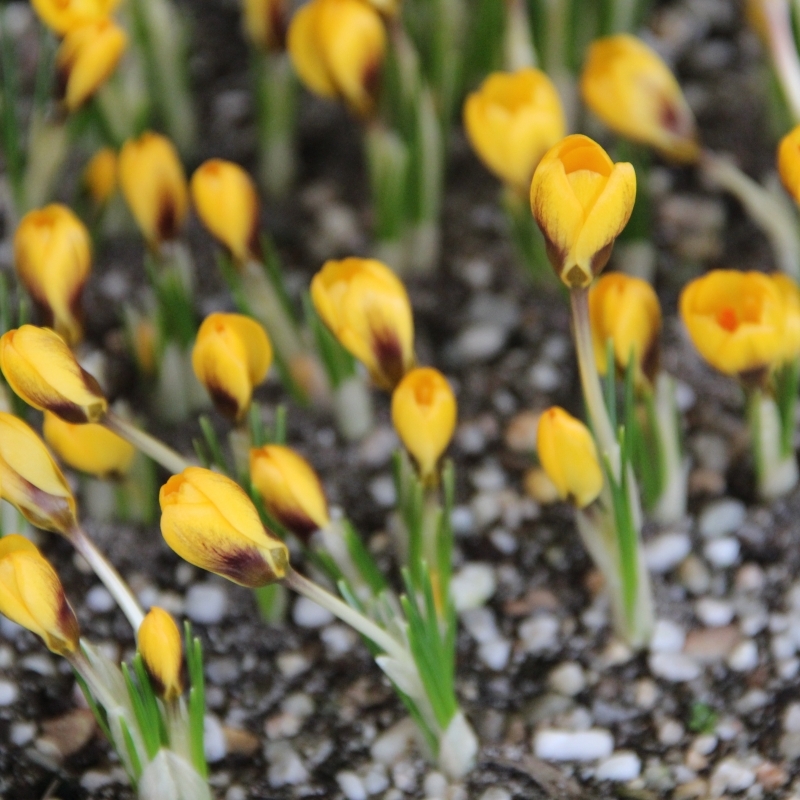 Flowering time: March-April. Height 10-15 cm.